If it was drama you were looking for, the 2018 Telkom Knockout final between Baroka FC and Orlando Pirates had it. If you’re a fan of skill and flair, you needed to look no further than the Nelson Mandela Bay Stadium on Saturday evening. 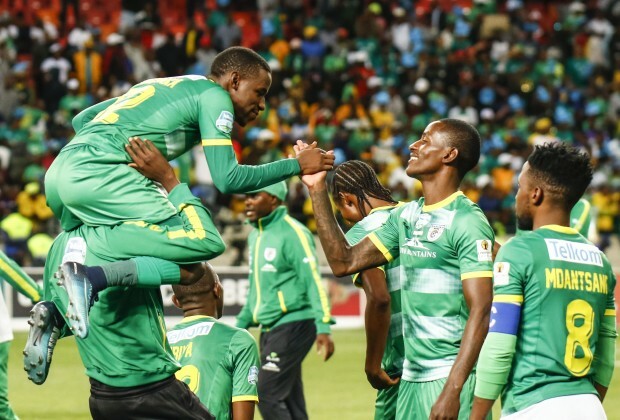 That Baroka FC are the newly-crowned TKO champions is now history, but the thrill-a-minute encounter dished out by two exciting teams will not be erased from anyone’s minds anytime soon. In fact, Bakgaga and Bucs may have just found themselves in the record books of the most exciting cup finals ever produced in the Absa Premiership era. Up-and-coming coaches were not left out, as there were some crucially important lessons to be learned. There was pretty much something for everyone and even Bucs’ supporters will have to agree that – notwithstanding the results – they also had fun. Coach Milutin Sredojevic and his technical team showed a great deal of tactical acumen by bouncing back twice to force the game into extra-time and eventual penalties. All of this, without losing the club’s game model and showing a great deal of discipline by not falling into the trap of trying to get back into the game too soon. How they managed the early shower given to the 22-year-old Zimbabwean international defender Marshall Munetsi and remained calm was a marvel to watch, as they manipulated the game to perfection. The big heart and strong character showed by Pirates were impressive, where players left everything on the field. They put in a really big shift and almost stole it right at the end. Having said that, Baroka were the deserved winners on the night because, despite their questionable physical condition, they managed to neutralise Bucs’ danger men to a certain extent and did enough to win the game. They showed so much hunger and drive to record their first ever cup trophy in the elite league, also becoming the first Limpopo side to win a trophy. The tactical acumen of the two benches was evident, although I must admit that I was a bit disappointed with the way coach Wedson Nyirenda and his technical team handled their substitutions, where they had made two subs by the 69th minute, with Pirates chasing the game and yet to make one change. Why was that disappointing? You may be wondering. Firstly, the substitutes were not to exploit the numerical advantage they had over Bucs after Munetsi was sent off. Secondly, a couple of Baroka players, including my Man of the Match on the night Elvis Chipezeze, were starting to cramp and I wondered what if they ran out of subs with the game going to extra time and Pirates applying all the pressure? Just as that thought was going through my mind, two of their players had to receive medical treatment and they could only make one more substitute. There were periods where they had 10 players on the field because one of them was receiving treatment, which levelled the playing field for Bucs, albeit for a few minutes. True to Pirates’ technical acumen, they almost capitalised on the situation by firstly introducing pacey Paseka Mako for Vincent Pule, in a move that seemed to stop the Baroka attack on the right and add numbers going forward with a pair of fresh legs against tired Baroka. With the game at 2-1, I could clearly see Bucs’ assistant coach, Rhulani Mokwena, desperately trying to get captain Happy Jele’s attention. He kept gesticulating and jumping up and down until Jele finally spotted him. What happened was one of the most defining moments on the night. Mokwena instructed Jele to push forward, with the game almost in the bag for Bakgaga. Hardly two minutes later, Jele was involved and won an aerial ball in the Baroka box, which resulted in Thembinkosi Lorch’s headed equaliser. Mission accomplished for Bucs! Jele’s solo run towards Mokwena pretty much summed up what was going through his mind and the warm embrace by the two was something to behold. Mduduzi Mdantsane’s penalties and calming effect in that Bakgaga midfield was just unbelievable. He reminded me of the late Ernest ‘Botsotso’ Makhanya. Goodman Mosele, Talent Chawapiwa and the evergreen Thabiso Semenya were just some of the unbelievable performers on the night. Credit must also go to coach Nyirenda for the job well done in preparing his team psychologically for this match. He instilled a strong belief in them that they were going to be crowned champions, instead of going into the game as underdogs, when he said they were going to win the cup and that they’re no longer giant-killers but giants. Off the field, the atmosphere was electric! NMB Stadium has really left an indelible mark and it will take a serious miracle for this magnificent venue not to be considered for future cup finals or even big matches for that matter. The Eastern Cape folks sent out a clear message and it sure won’t fall on deaf ears. This is how you voice your concerns instead of complaining without providing any solutions. When people complain about the unfair treatment that sees “Moses Mabhida hosting almost every cup final”, the least they can do is to offer an alternative. That’s what happened on Saturday evening – a well-behaved crowd that proved, win or lose, our stadiums remain our happy place where we can still take our families without worrying about their safety. Couldn't agree more with you Mr Ed,it was a great advert for the beautiful game.The supporters got their money's worth at end of the day.